An apartment at Mission Ranch Apartments provides you with premium features and exceptional amenities. Our one, two, and three bedroom apartments for rent in Chico, CA, were designed with your lifestyle in mind. Our apartments offer bright, open-style floor plans with spacious bedrooms. Each apartment includes an in-home washer and dryer, and plenty of closet space to keep your wardrobe and essentials organized. You’ll delight in preparing meals in your fully equipped kitchen. At Mission Ranch Apartments, you’ll discover community perks designed to help you maximize every day. Stay on top of your fitness regimen with access to free weights and cardio machines in the onsite fitness center. After your workout, take a refreshing dip in our sparkling resort-style pool, and then take a catnap on the warm sundeck. You and your dog will love the onsite dog park, which is perfect for off-leash play time. Catch up with friends and neighbors while you sip a beverage in our welcoming clubhouse. 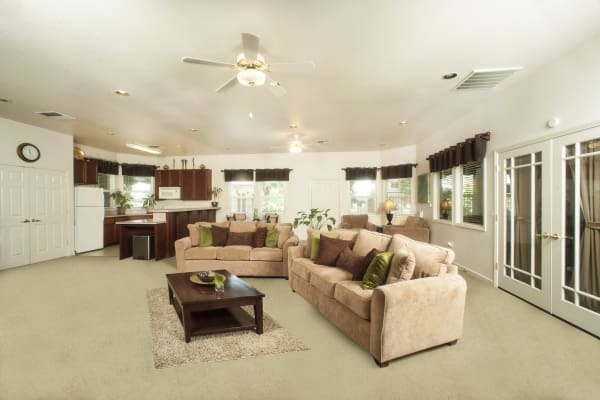 We’d love to show you all of the features and amenities our peaceful community in Chico has to offer. Contact us today to schedule your tour of Mission Ranch Apartments.